DHS Stonewalls Congress on ‘Hands Off’ Permitting Those with Terror Ties into U.S. The Department of Homeland Security (DHS) is refusing to answer Congress’ questions about the existence of a secret terrorist "hands off" list that is said to have permitted individuals with terrorist ties easy entrance into the United States. The Washington Free Beacon has further reported that the documents are part of a larger campaign by DHS and its former head Janet Napolitano to purge the internal security records of potentially hundreds of terror suspects, allowing them to more easily travel in and out of the United States. When questioned by Grassley’s staff last week during the closed-door briefing, CBP officials refused to answer multiple questions about the purported "hands off" list, according to Grassley spokeswoman Beth Pellett Levine. "The briefing on Tuesday yielded next to nothing," Levine told the Free Beacon. CBP officials would not address the specific emails detailing the "hands-off" list and maintained that no such record existed. CBP’s attempts to explain "the discrepancy" between the internal emails released by Grassley—which specifically mentioned the existence of such a list—and the official denials by CBP leaders were "unpersuasive," according to Levine. CBP officials further refused to get "into details of the case," making it virtually impossible for the senator’s staff to get concrete answers about the controversial list. Grassley’s staff is currently working to organize "a more detailed briefing" during which specific details of the list can be revealed, according to Levine. When asked about the briefing Wednesday, a CBP spokesman directed the Free Beacon to DHS for comment. 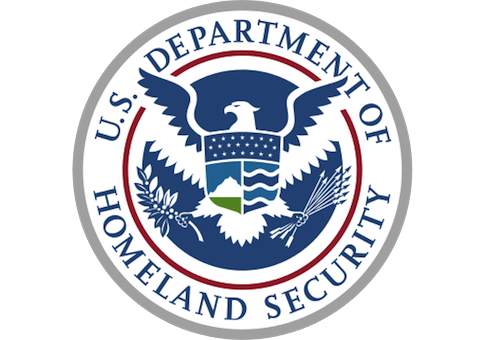 DHS did not respond to multiple requests seeking comment on the issue. The release of the heavily redacted communications—which were sent between CBP and U.S. Immigration and Customs Enforcement (ICE)—have sparked a debate about the Obama administration’s oversight of the nation’s borders. Sources who spoke to the Free Beacon and had reviewed unredacted versions of the emails indicated that many files pertaining to foreign terror suspects might have been purged by DHS. Congressional investigators are said to be currently looking into the matter. The specific emails released by Grassley detail an argument over the admittance to the United States of one alleged Muslim Brotherhood official who has been tied to Hamas, Hezbollah, and other terror groups. While the individual in question had his name blacked out in the redacted emails, the Free Beacon reported that the person referenced is Jamal Badawi, a Canadian Islamist leader who has praised suicide bombing and is close to Hamas and Hezbollah. "I’m puzzled how someone could be a member of the Muslim Brotherhood and unindicted co-conspirator in the Holy Land Foundation trial, be an associate of [redacted], say that the U.S. is staging car bombings in Iraq and that [it] is ok for men to beat their wives, question who was behind the 9/11 attacks, and be afforded the luxury of a visitor visa and de-watchlisted," one official wrote in the May 2012 emails released by Grassley. "It doesn’t appear that we’ll be successful with denying him entry tomorrow but maybe we could re-evaluate the matter in the future since the decision to de-watchlist him was made 17 months ago," the email said. One of the unnamed officials later said: "Based on a review of the statements of the subject, I think it is clear that he [Badawi] meets the definition of endorsing and inciting." Grassley has been seeking to determine "how many people are on the ‘hands off’ list mentioned in the email" and "what qualifies someone to receive the ‘hands off’ designation?" according to a letter he sent to DHS officials. This entry was posted in National Security and tagged Border Patrol, Chuck Grassley, DHS, Hamas, Hezbollah, Muslim Brotherhood. Bookmark the permalink.